The Disabilities Trust is a leading national charity, providing innovative care, rehabilitation and support for people with complex physical disabilities, acquired brain injury and for children and adults with autism. 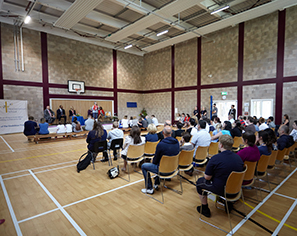 During the year, we expanded and enhanced a number of services including the building of a new sports and assembly hall and extra classrooms at Heathermount School, doubled the size of our long-term brain injury unit at Osman House near Leeds, took over community-based services in Brighton and Glasgow and extended our prison and probation support for people with a brain injury. Investment in repair and renewal of buildings and facilities, and in vital Information and Communication Technology infrastructure, totalled £2.1m. The Trust made the difficult decision to close its residential services at Hamilton Lodge in Essex and Chalkdown House in Wiltshire. The current challenging operating environment continues and as a result our operating surplus for the year declined from £0.5m to £0.1m. When we include non-operating items, our overall surplus for the year was £4.4m compared to £3.1m for the prior year. A word from Peter Jackson, Chair of Trustees. "Although the external funding challenges we're facing have had a significant impact on our income and financial performance, and will continue to do so, I'm proud that we have made a real difference to the lives of so many people during this past year. "The Disabilities Trust has also had to make some difficult decisions, including the closure of two of our centres. We did this with great reluctance, but as a charity we have to put the well-being and welfare of those we support first, and ensure a sustainable future for the organisation. 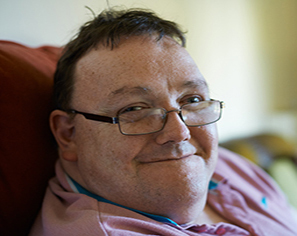 "There remains a lack of understanding from the politicians and policymakers about the cumulative impact their decisions are having on the care sector, and on the cost of funding high quality support for vulnerable adults. The Government, regulators, funders and the public should be concerned about the gulf that is opening up between the cost of delivering high quality care and the amount funders are prepared to pay. "This has not diverted us from our charitable mission: we remain committed to providing high quality care and support. We've been a charity for 37 years and have overcome external financial challenges before and due to our flexibility, resilience and professionalism, and we will overcome them again. 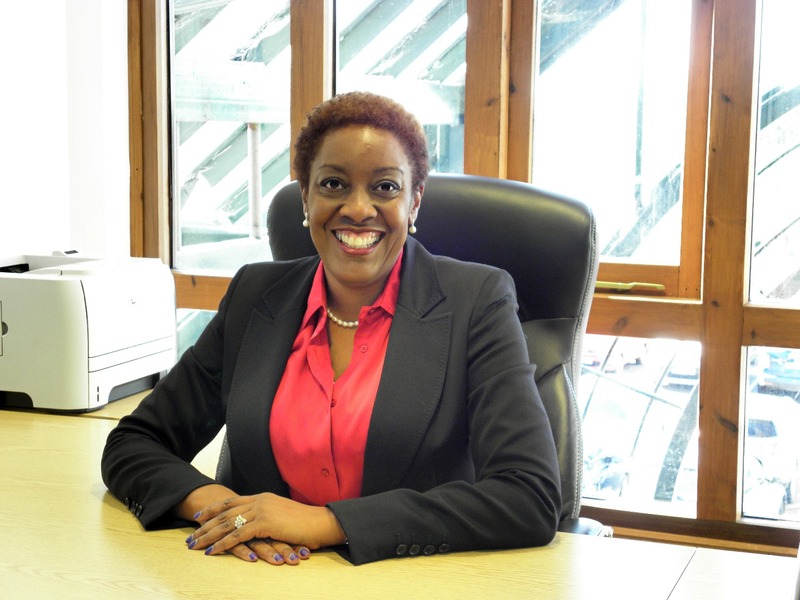 "Chairing this inspiring organisation has been one of the most fulfilling roles of my career, and, as I step down from the role, I look forward to following the future work of the Trust as it continues to make a difference to so many people's lives." 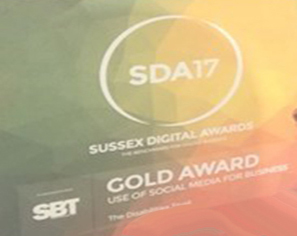 The Disabilities Trust is a national charity providing services to people with complex and challenging needs, from brain injury to learning and physical disabilities and autism. The wellbeing of those we support is at the heart of everything we do. 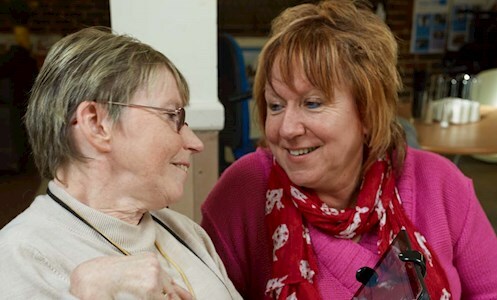 * We work in partnership with others to the mutual benefit of people with disabilities. * We offer tailored care and support to individuals living in the community and at home, to help them live independently as possible. * Our Brain Injury Rehabilitation Trust (BIRT) has 11 residential assessment and rehabilitation centres, two independent hospitals and one post-acute service. * Our Autism and Disabilitiy services division operates 10 residential and community services and a special day school for those with autism or a physical disability to help them live more fulfilling, independent lives. * We support people with a brain injury who are on probation or in prison. * We invest in technology that can assist individuals to live as full a life as possible. * We ensure the Trust has sufficient funds to maintain current investment and finance any new services identified for the future. How is our work funded? Our services are funded largely by the NHS and by local authorities, which means we're effectively a business-to-business operation. Any surplus we make is reinvested in new services. We undertake some fundraising but this is less than 1% of our turnover and is an area we are looking to develop. Our Trustees, who give their time voluntarily, review our aims and objectives annually to ensure we remain focused. They look at what we've achieved, how successful we've been, and how our projects have benefitted those we seek to help. A specially-designed 'Governance Framework' helps us analyse information better about how our services are delivered, so we can make changes where necessary. having to supply more support in the community for those with highly complex needs as social care budgets continue to be cut. Our top priorities for the next five years are based on four key themes. This will ensure we are ready for change, financially secure and can keep providing a first-class service for the people who need us, those who fund us, and for our staff. 1. We will establish firm financial foundations by revising what we deliver, investing in our staff and ensuring we have a sound infrastructure. 2. We will be at the leading edge, drawing on our innovative thinking, investing in technology and using research to find new ways for people with complex needs. 3. We will raise our profile as a charity, potentially increasing fundraising, so we can improve our services even further. 4. We will keep our working practices and values updated and increase staff development opportunities. Find out about what it’s like to work for us! A £10,000 'Awards For All Scotland' lottery grant for an adapted kitchen for people with brain injury to relearn food preparation and cooking skills at the Brain Injury Rehabilitation Trust's Graham Anderson House in Glasgow. £24,000 from Tesco Bags of Help community funds for new flowerbeds and garden equipment for our centres in Hull and Eastbourne. The creation of a sensory garden for children at Heathermount, the Trust’s school for students with autism, delivered by volunteers from companies Eli Lilly and Robert Straver, who took on corporate challenges to raise the funds. 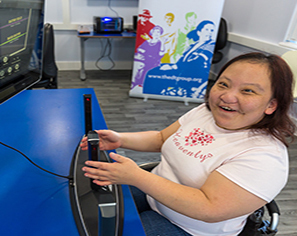 Equipping the first #ConnectAbility Hub at Shinewater Court in Eastbourne, where disabled people can try out adapted communications technology, after raising £213,000 from our three-year ConnectAbility appeal. We continued our influencing work in the brain injury sphere and are now a member of the Brain Injury Alliance which includes clinical, legal and charity representatives. We carried on working with the Care and Support Alliance and the Criminal Justice Acquired Brain Injury Interest Group (CJABIIG), and we welcomed eight politicians to Trust services and projects. * 315 people registered for the Brain Injury Needs Indicator our free tool to help social workers identify a lack of insight (and therefore level of risk) in people with a brain injury. * The Trust spoke at three Brain Injury Social Work Group seminars, reaching 130 social workers, plus a further 53 people via online webinars. * We contributed to consultations on Welsh neurology service commissioning, NICE guidelines on physical and mental health in prisons and the House of Commons Justice Select Committee regarding brain injury and offending. The current challenging operating environment continues and, as a result, our operating surplus for the 2016/17 financial year declined from £0.5m to £0.1m, on an operating income of £56.3 million. However, when we include non-operating items, as set out below, our overall surplus for the year was £4.4m compared to £3.1m for the prior year. This means the Trust has sufficient reserves to keep investing in both current services and any new services identified for the foreseeable future. "We will build on our success"
As the Chairman has indicated, the operating environment continued to be highly challenging. The impact on the Trust has been significant and there is no doubt that these difficult times will persist for some time to come. However, there are also opportunities for the Trust. Our five-year strategic plan captures these and sets a clear direction for the future. Although our 2016/17 surplus (excluding non-operating items and investment income) is down by £0.4m to £0.1m, we've continued to invest in services to improve facilities and develop opportunities for those we support, thanks to the reserves built up over the years. With more than 90% of Trust services rated 'good' or higher by the Care Quality Commission (or its equivalent in Wales and Scotland) it is clear we are already delivering high quality services, and we want to build on this success. There has been significant progress on our investment plan relating to our properties, Information and Communications Technology (ICT), and management of risk to ensure our foundations are secure for the future. The decision to close Hamilton Lodge was taken very reluctantly but everyone we supported there has moved to a new home. We also closed our brain injury hospital in Swindon, and with regret agreed to the transfer of our only post-acute brain injury centre at Goole to the Northern Lincolnshire and Goole NHS Foundation Trust, after they decided to end our partnership. Our staff remain the Trust’s most valuable asset and as we continue to deliver our charitable mission, we will carry on investing in their training and development. I would like to thank each and every one for their continuing commitment to the Trust and to the people we support. I want to express my gratitude to Peter Jackson for his unstinting loyalty, enthusiasm, guidance and commitment to the Trust over the past ten years, and wish him the very best for the future. Peter – we couldn’t have done it without you! 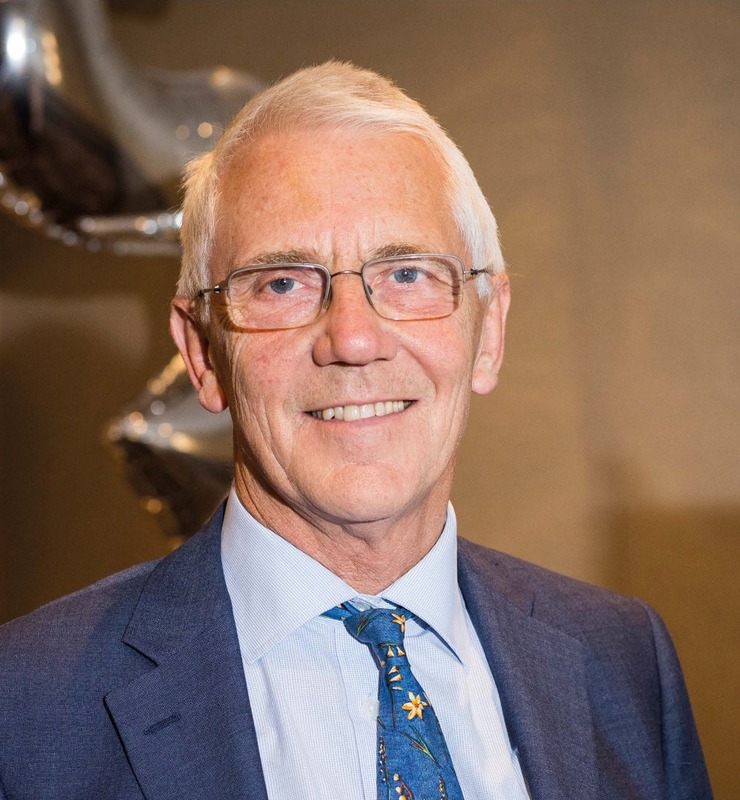 I also warmly welcome our new Chairman Steve Howell, who was appointed on 20 November 2017. 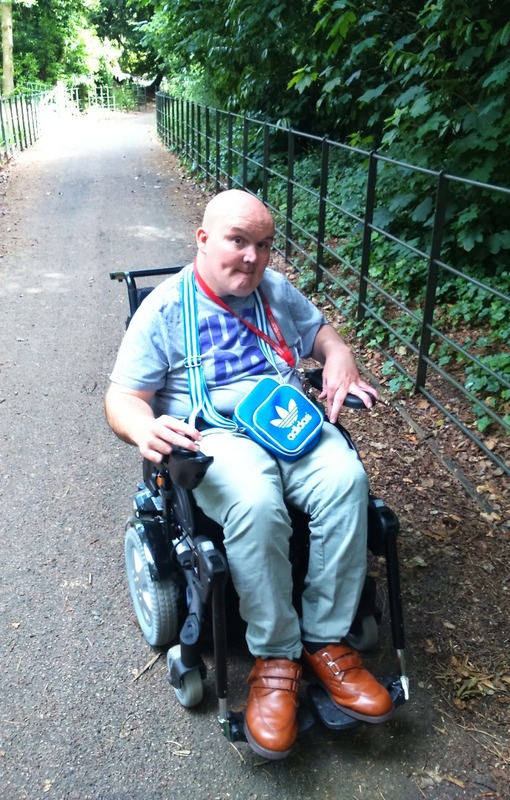 Darren’s case exemplifies the flexibility of BIRT’s continuum which allows people to have the degree of support they require whilst still on the journey towards independence. In 1980, when Darren was four years old, he was involved in a road traffic accident which changed his life forever. His brain injury left him with post-traumatic epilepsy and confined him to a wheelchair. Sixteen years later, he was assessed at our own BIRT centre, Daniel Yorath House in Leeds, and had a period of rehabilitation there. After a year he moved into a supported house within BIRT, with 24 hour staffing, but his impulsive behaviours and lack of insight meant that a decision was made to find Darren a safer environment. 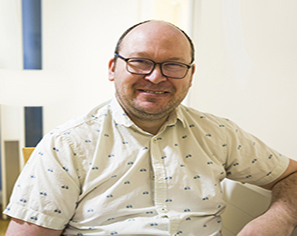 Over the years he has experienced the range of BIRT services, including spending time at our independent hospital, York House but, with a person-centred support plan created by one of BIRT’s many multi-disciplinary teams, Darren is now living in the community and hoping to go to college. Darren is very well-liked by service users and staff alike and now always greets people with a smile. He has progressed substantially; using an iPad, enthusiastically doing his domestic chores, and managing his medicine and weekly finances independently. 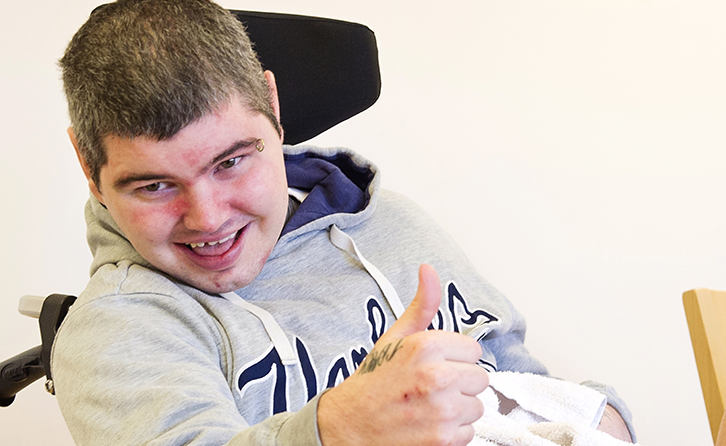 Darren is supported to take part in activities including swimming, the gym and cycling. He loves going to watch Manchester United which the Wirral and Liverpool-based staff grin and bear! When Thomas first started at Heathermount School in 2002, aged nine, he found talking and communicating a challenge. He disliked activities such as singing, dancing and yoga and found it difficult to join in. 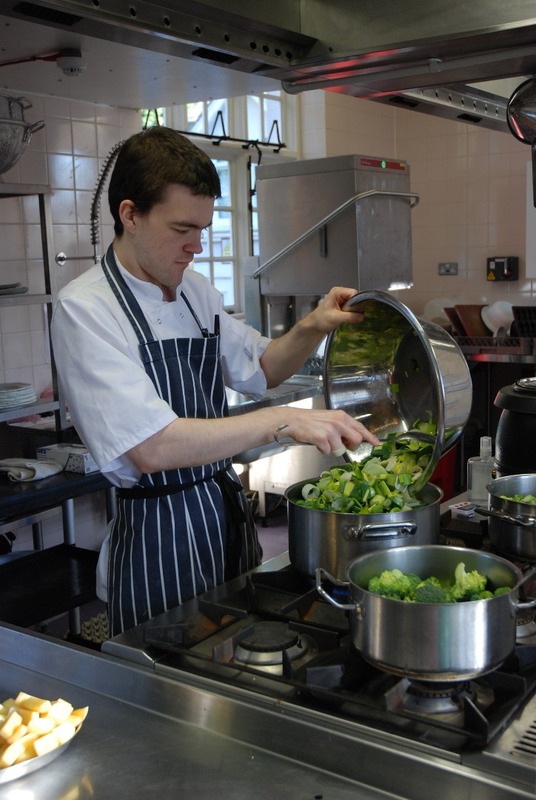 Having excelled in catering, he then chose to do a catering apprenticeship at Heathermount to get the necessary qualifications for a job. Once qualified, he looked for employment but didn't like the options on offer at the job centre. Then the role of kitchen assistant at Heathermount came up. Thomas applied, got the job and has since progressed to being assistant chef. "The transition between apprenticeship and assistant chef is very different and more challenging," he explains. "You have to do more tasks in less time, take on more important responsibilities and still treat everyone with respect." Thomas takes pride in the fact that he is making progress and he is keen to keep learning. He stays focused and listens to instructions and if he is unsure about what he should be doing he always checks first. "I enjoy seeing people smile when I do a good job, and knowing that I can be a valuable colleague to others," he says. And it doesn't end there. Thomas is currently taking driving lessons and his future plans are to pass his test and find his own place to live. 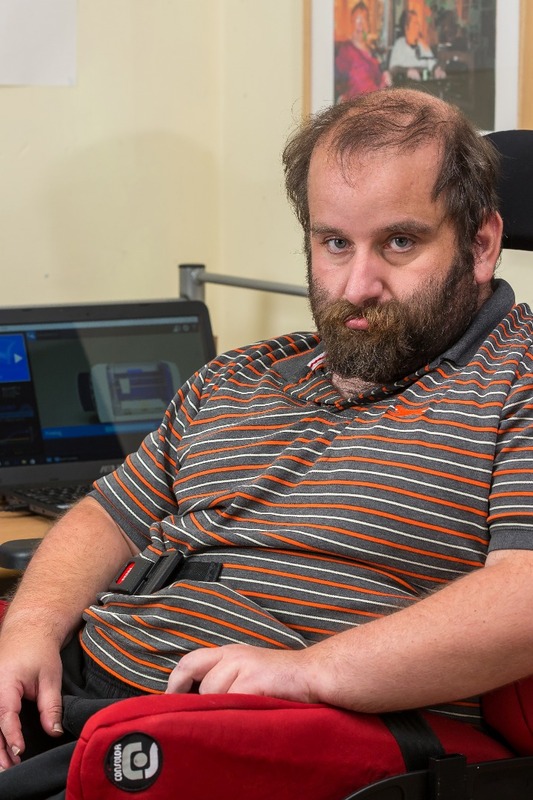 We set up the #ConnectAbility appeal in 2014 to raise £250,000 to build ‘Hubs’ so that disabled people in the community, as well as those supported by us, could try out new assistive technology. The idea was to provide a safe and friendly environment in which they could experiment with the kind of technology that would best help them and their specific needs. 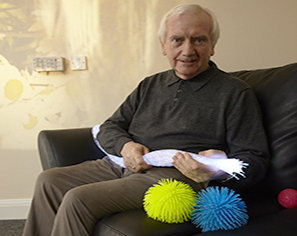 Many of the people we support have had their lives transformed by assistive technology because it maximises their ability to make choices and communicate with others, and they are now able to live more independently. Smart phones and tablets provide a relatively cost-effective way to assist in everyday tasks. Other tools are more expensive, such as eye-gaze computer technology, which enables people to control a computer with their eyes. The plan now is to create mobile hubs around the country to meet many more needs.